Is there a lack of communication between fitness and healthcare professionals? 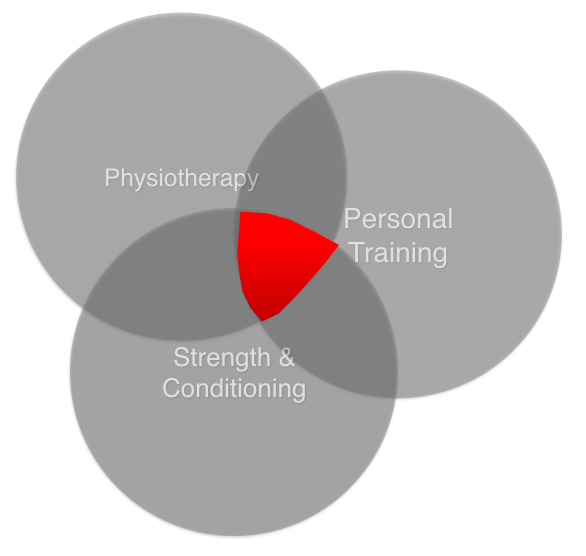 A key aim of my business is to encourage and facilitate communication between fitness and healthcare professionals. Well, it’s naive to think, for example that patients undergo a course of physiotherapy treatment for their injury in isolation without taking part in other activities. In fact, other activities and structured exercise interventions might form an integral part of their rehabilitation and recovery. But where and how do they do this? Clearly, the NHS doesn’t have sufficient resources or personnel to oversee and instruct every session, and multiple private physiotherapy sessions every week is too costly for most. Enter the exercise profession. The way that I see it, professionals such as personal trainers and strength and conditioning coaches play a hugely important role in an individual’s recovery. Their role could be as simple as offering reassurance and guidance to a client who shows up to their session with a list of exercises from their physiotherapist, or as involved as being creative with exercise adaptation to accommodate injury. In the most simple application, for the client it can mean the difference between performing the prescribed effectively or ineffectively due to proper guidance and instruction, not to mention the significant psychological impact. There’s clearly a degree of overlap of between these professions, which if exploited could enhance patient recovery. Unfortunately, very little industry-endorsed quality training is available for exercise professionals to up-skill to be a able to manage and accommodate musculoskeletal injury, let alone how to communicate with a clinical team. All too often the onus is on the conscientious exercise professional, or physiotherapist to forge collaborations with other disciplines. I want to change that. We need to target the red area in the diagram above. First, we need to recognise that people in the exercise and conditioning sectors who want the training to help them accommodate injury should have access to it. However, I say this with caution! This is because the training provision needs to be evidence-based and positioned appropriately to support the client/patient journey. Thus it should not teach to diagnose, but absolutely should build-on the professional’s existing knowledge and provide safe, effective and practical solutions. Second – communication! If we acknowledge that there is a continuum of recovery, there should be a continuum of care that importantly involves exercise professionals. We all know that physiotherapy is a vital component to recovery, however, towards the end-stages of rehabilitation appropriately-designed exercise and conditioning interventions can optimise recovery and return to activity and mprove neuromuscular performance capabilities, which equip the individual to better avoid further injury. To me, it’s a no-brainer. If we all work together, up-skill and learn from each other and avoid seeing other disciplines as distinct and separate, then there’s the opportunity to provide an enhanced overall service to our patients or clients. This doesn’t have to be viewed as an altruistic venture either. It’s good for business as well as the patient/client, everyone can benefit. Next time I’ll be addressing some FAQs on this topic. If you’re a PT, S&C,Physiotherapist, in fact any profession and have a burning question, or comment, please e-mail them in to info@getbacktosport.com and we’ll feature them in the next new item. If you want to find out more about our courses please click the link here.